Around 11:30 p.m. on Friday, BPD officers stopped at MacMillan and Quinby after hearing loud music and noticing intoxicated students on lawn between the two houses. BPD Commander of Support Services Mark Waltz said that the officers were on routine patrol, and the department had not received any noise complaints about the two houses that evening. “For that time of night, they thought they better talk to them about calming it down, and then as they started to talk to people they realized that a lot of people had been drinking, some of whom were minors—and that shouldn’t be happening,” Waltz said. Boris Dimitrov ’20, a MacMillan resident, spoke to police soon after they arrived at the parties. At the time of BPD’s arrival, the alcohol had been finished and the kegs had been checked, so no Security officers were on the premises, according to Director of Safety and Security Randy Nichols. Waltz said that after checking IDs of an initial group of students who were polite and cooperative, officers issued a warning and asked them to return to their rooms. A subsequent student, however, lied about the fact that she had been drinking and told the officers that “that under Bowdoin’s quote-unquote laws, that they were allowed to drink if you’re a minor,” said Waltz. Officers took that student’s name and called her to the police station to issue her a summons the following day. The BPD involvement at Cold War is the most salient incident in what many students perceive to be a recent increase in BPD activity around campus. the events have left many students concerned and have attracted the attention of school administrators. 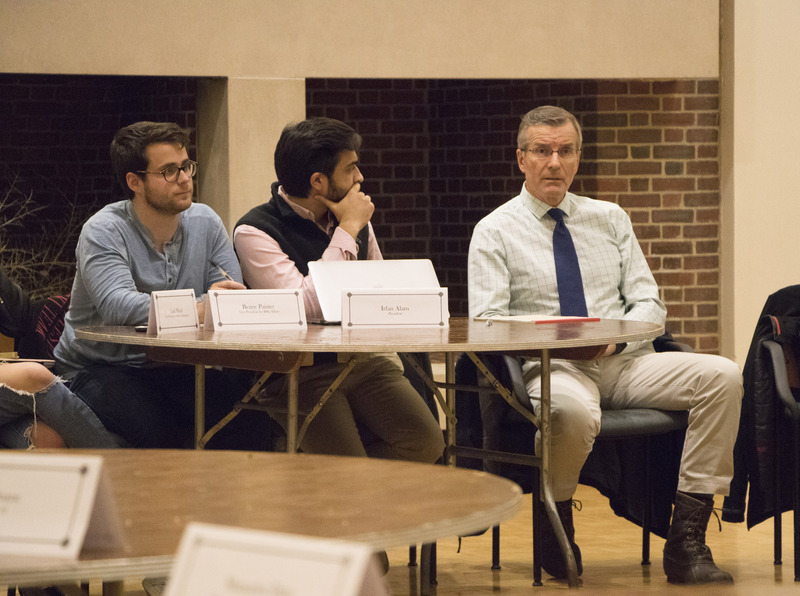 At the invitation of members of Bowdoin Student Government (BSG), Nichols visited BSG’s public comment time on Wednesday evening to discuss the incidents. Early on the morning of Saturday February 10, a student ran from the police after pulling into a parking space in the Coffin Street parking lot, where officers, noting erratic driving, had followed the vehicle. BPD tracked that student to a dorm but was not able to identify the individual until Security conducted an investigation the following week. No summons or charges have been issued, but the incident is under review at the Office of the Dean of Student Affairs and BPD. 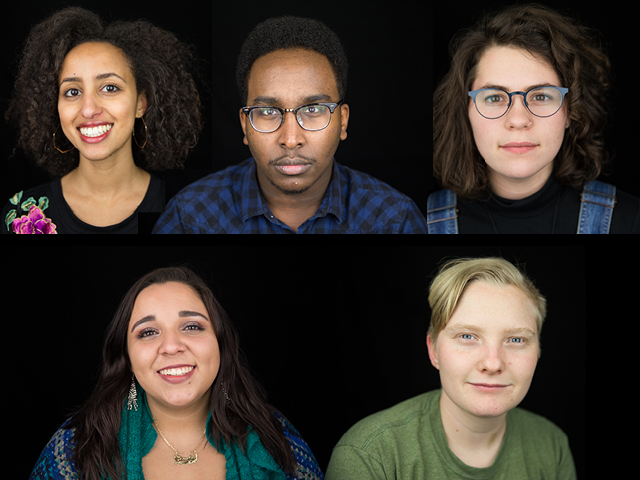 Four senior students—all of whom are over 21—said that BPD officers also stopped them on Harpswell Road early on the morning of February 11. According to one member of the group, two BPD officers who were patrolling on foot stopped them as they were leaving a party at Carlisle Apartments, commonly known among students as Lighthouse. The officers asked if they had been drinking, checked their IDs and radioed them in, then let them go. Another senior student said he was stopped by BPD officers while walking along Harpswell Road across from the Schwartz Outdoor Leadership Center. That same night, BPD officers issued a summons to a different student for jaywalking while crossing Harpswell Road and two other students received summonses for possession of liquor by a minor in the same area. Waltz says he does not believe that there has been an increased level of enforcement by BPD. He believes officers are simply responding to conspicuous violations of the law and less respectful behavior on the part of Bowdoin students. According to Nichols, both BPD and Security have received complaints from town residents about loud parties as well as about students walking in the middle of the road and not using crosswalks. He said that BPD has increased its presence on Harpswell Road in response. Students were surprised that BPD officers entered MacMillan as part of their response to Cold War. Four MacMillan residents confirmed that they saw BPD officers, identified by their guns and different uniforms, inside the residence. Nichols was surprised to hear Saned Diaz ’20 at the BSG meeting say that BPD officers had entered her room on the third floor of MacMillan. According to Nichols, no Security officers reported seeing BPD officers inside of MacMillan house. He noted that a Quinby resident had called Security to report that BPD officers were in Quinby, which later turned out to be false. PUBLIC COMMENT Director of Safety and Security Randy Nichols addresses concerns about police activity during the public comment time at the Bowdoin Student Government meeting on Wednesday night. Although BPD’s incident report did not note the entrance of officers to MacMillan, Waltz said that BPD officers did have the legal authority to enter the property on the grounds of exigent circumstances because they had observed ongoing violations of the law. Even the presence of officers outside the two Houses was alarming to students. “When I was walking out of Mac[Millan] house with my friends we overheard an officer say that the chief told them to arrest any underage student who was drinking,” said Daniel Ralston ’21 at the BSG meeting on Wednesday. 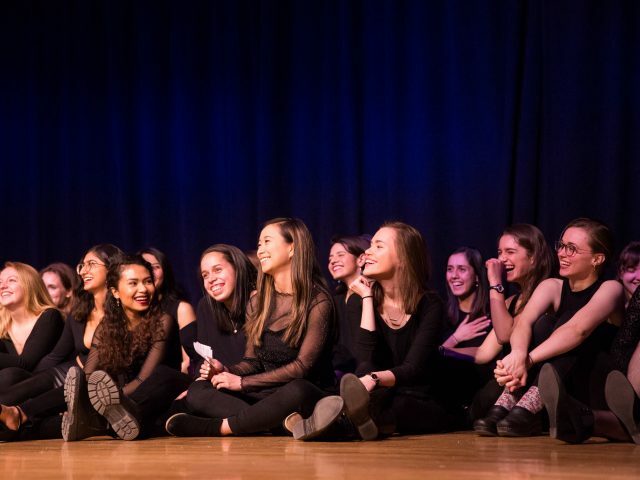 “In my three years here I’ve never been at a College House party where BPD sort of intervened independently of Security,” said a junior male student who had been at Quinby and spoke with the Orient on the condition of anonymity. “Security was there at the same time, but they were clearly there having heard that BPD was there, sort of trying to protect students and look out for students, whereas BPD was sort of just going after people,” he added. Although students are accustomed to dealing with Security rather than BPD at on-campus parties, BPD intervention at College Houses is not unprecedented. Ahrens noted that BPD shut down a party last year at Reed House after a noise complaint. Following the BPD activity at MacMillan house, some students have directed attention at the system of Alcohol Hosts (A-Hosts) and Entertainment Hosts (E-Host), which are required when students register parties with the Office of Residential Life. They noted that the system places legal responsibility on A-Hosts, and worried that increased BPD activity could spell the end of College Houses as spaces where underclassmen can consume alcohol safely. “I think it’s really unfortunate that it happened [at a College House] because these are spaces where people are supposed to feel safe drinking and feel like they’re under the guise of other people who are trained to watch them to make sure that things aren’t going out of control, and that’s the exact opposite of what happened,” Sillah said. Both Nichols and Waltz insisted that nothing has changed with respect to BPD’s relationship with the College. Nichols remained adamant that students are breaking the law if they are drinking under the age of 21, and are subject to the consequences of that, which he does not control. Emily Cohen and Jessica Piper contributed to this report. Police investigated threats of violence at two Topsham schools last Friday. Woodside Elementary School was evacuated after a bomb threat while Mt. Ararat High School was placed on heightened security due to student statements about violence, the Portland Press Herald reported.